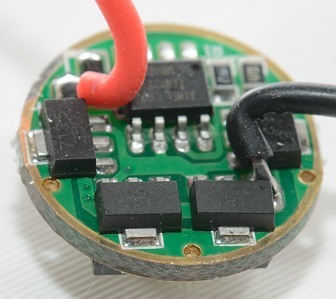 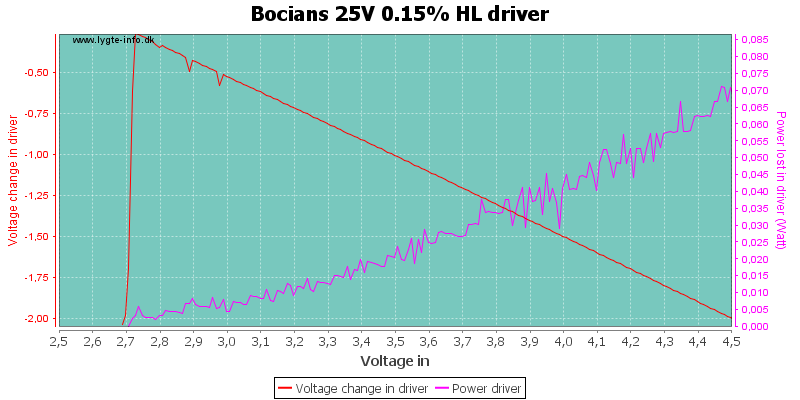 This driver uses a more advanced microcontroller, this has improved the battery voltage readout and added temperature control compared to the 13A driver. 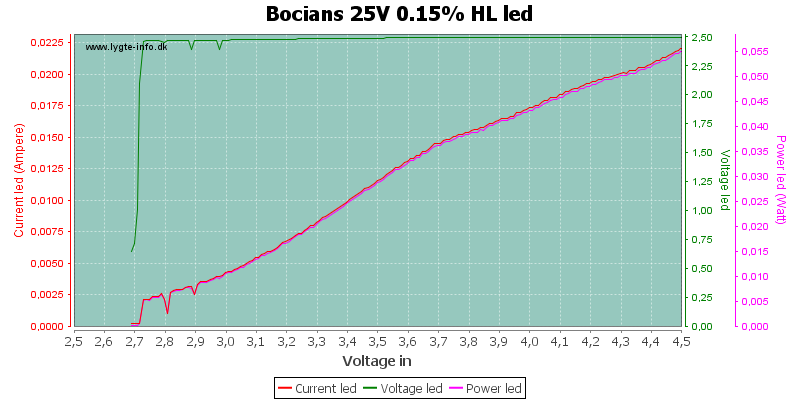 On this chart the step downs, when the battery is nearly empty, are very easy to see. 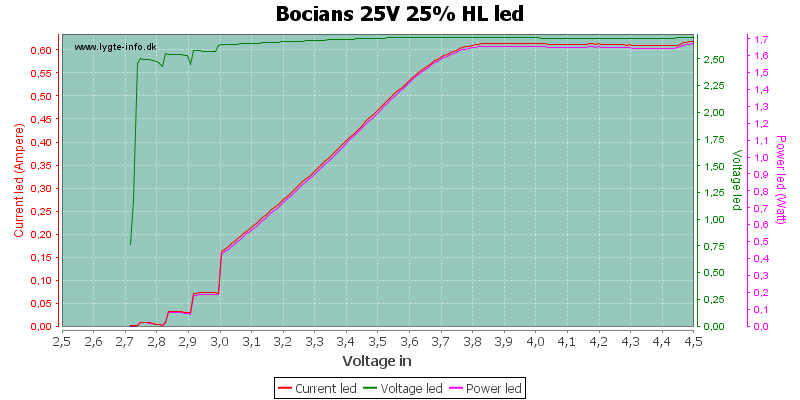 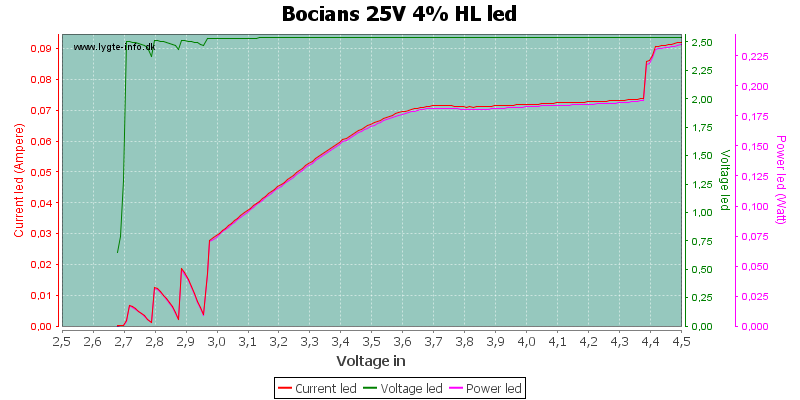 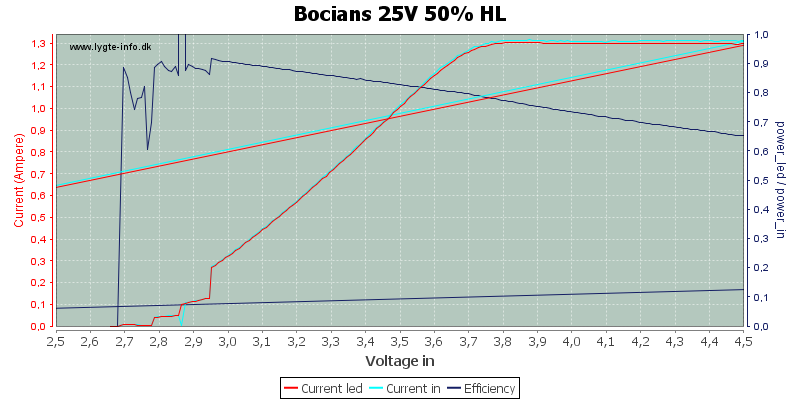 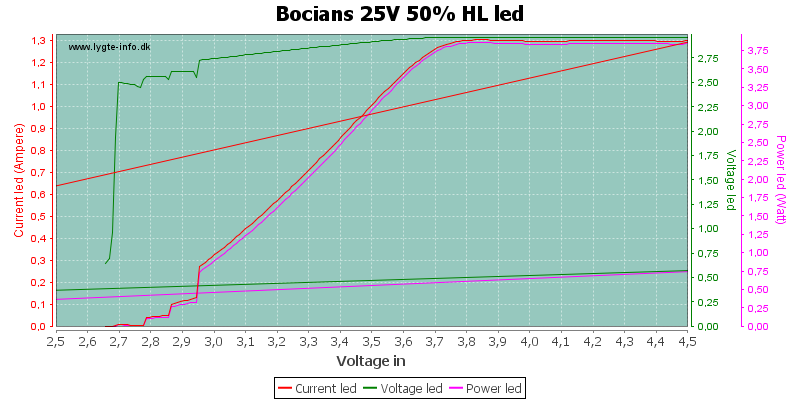 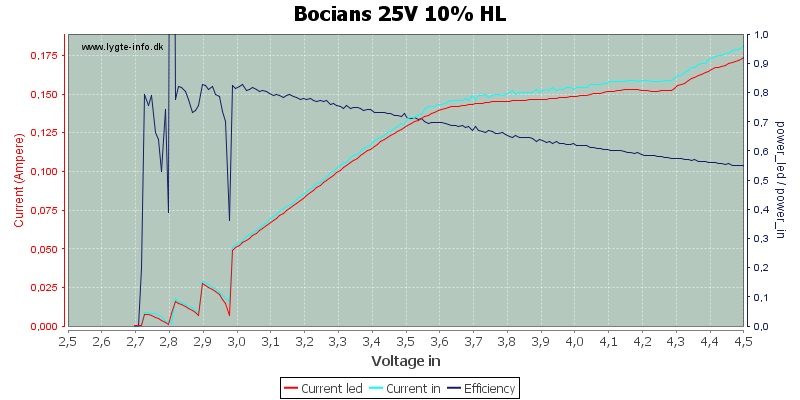 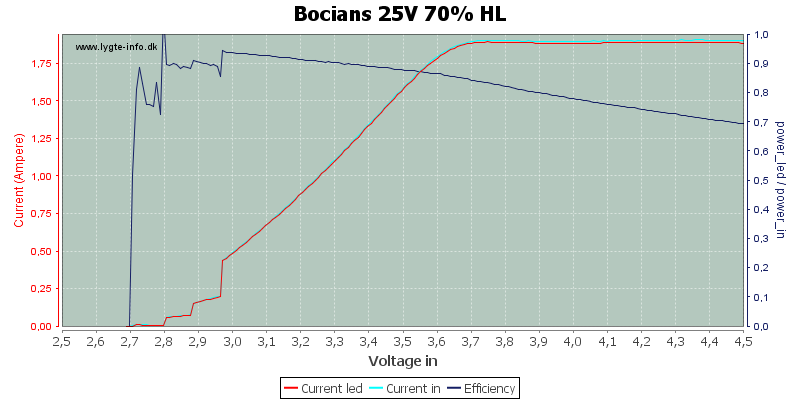 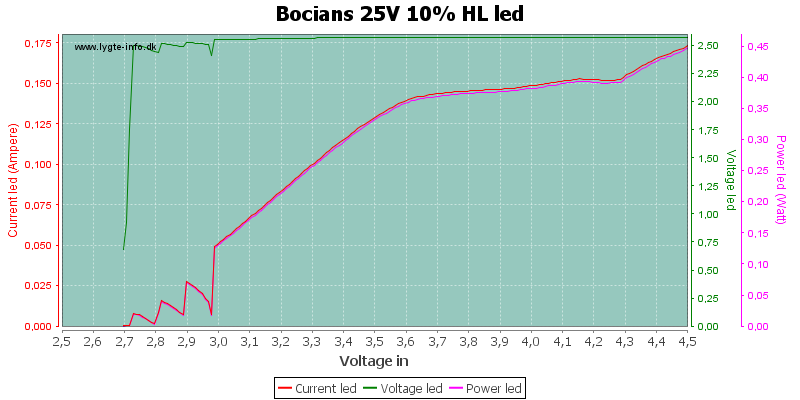 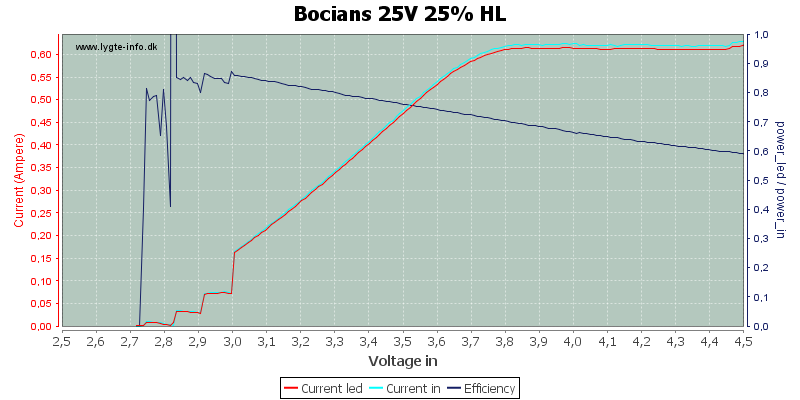 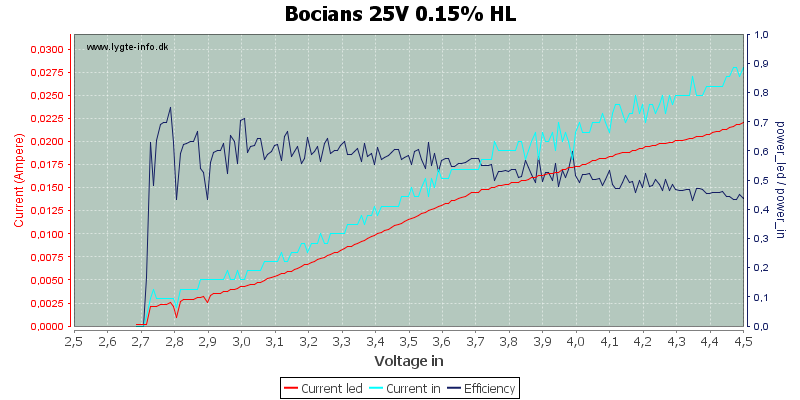 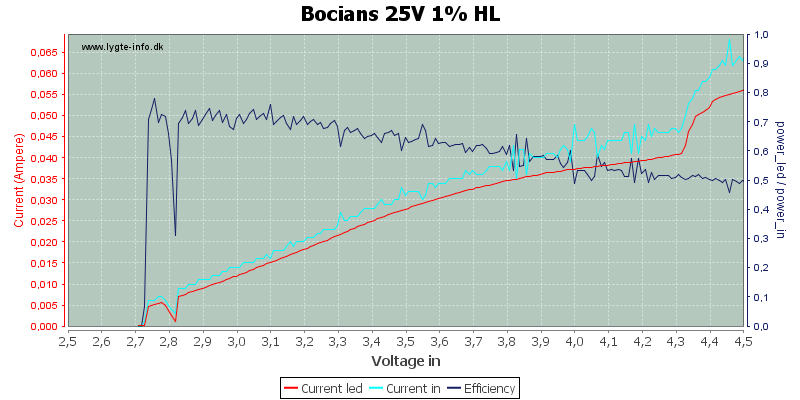 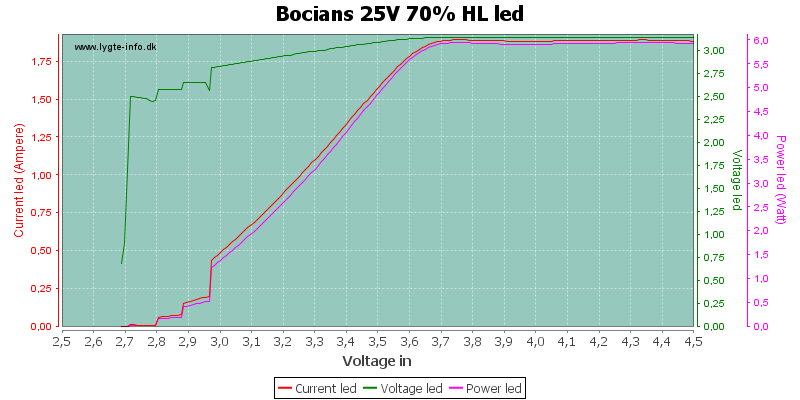 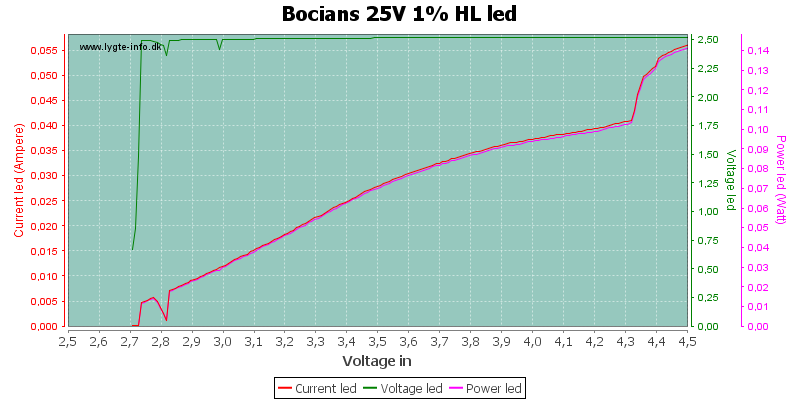 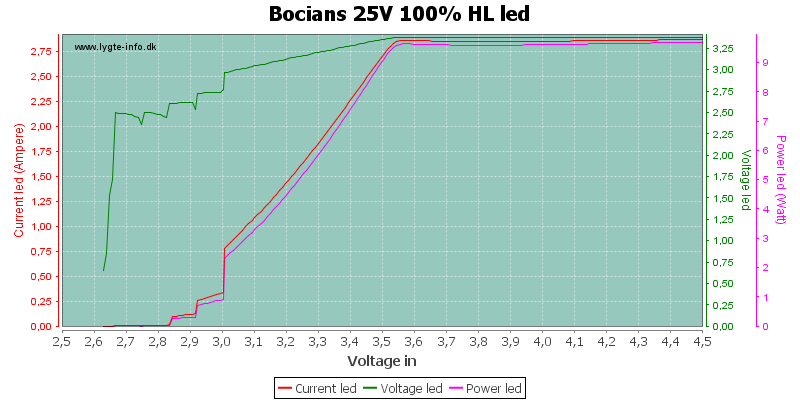 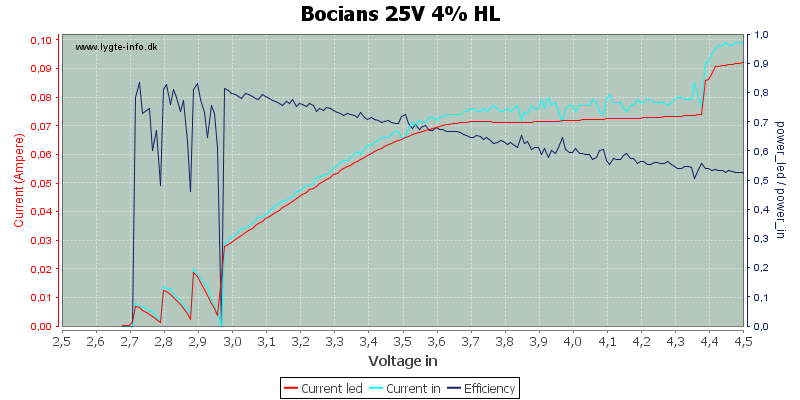 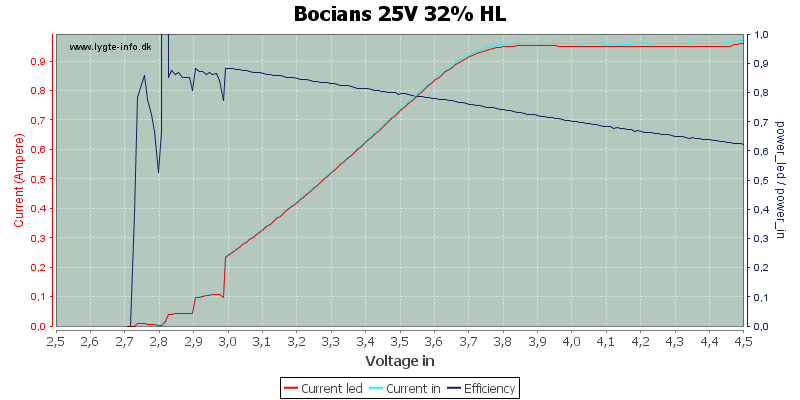 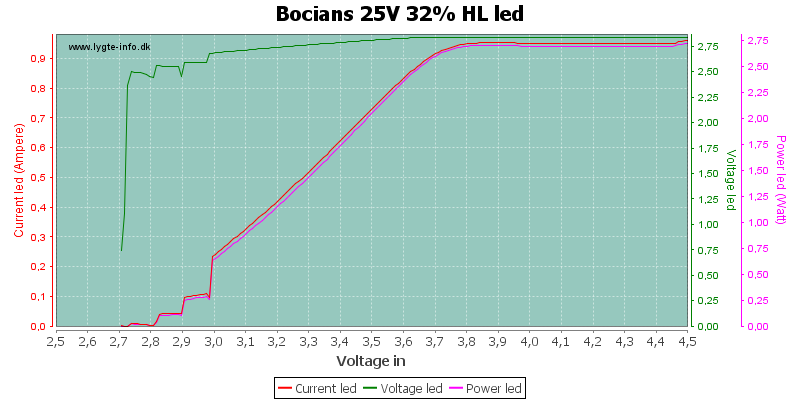 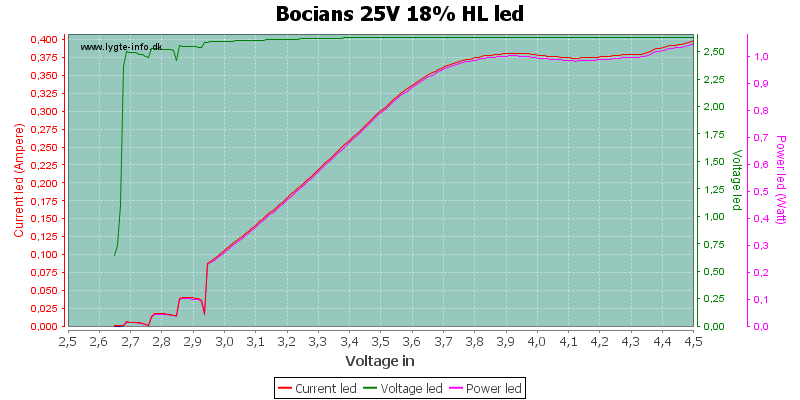 Notice that the brightness/current has two different levels of stabilization. 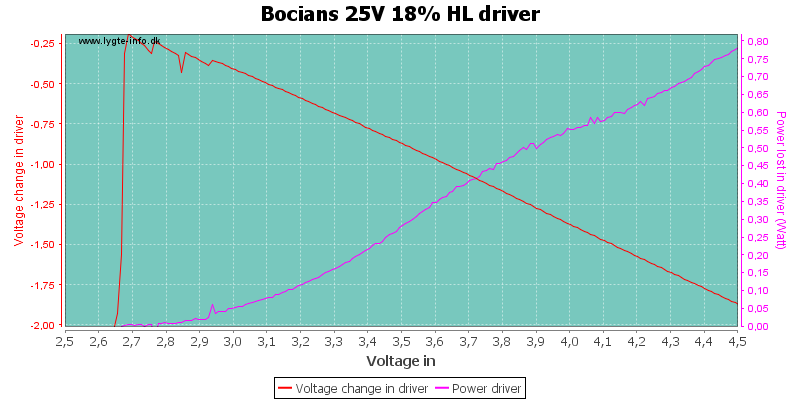 My guess is that the microprocessor can only turn the driver fully on at 4.4 volt and above. Sorry, no curves. The level is too low to register in my setup. 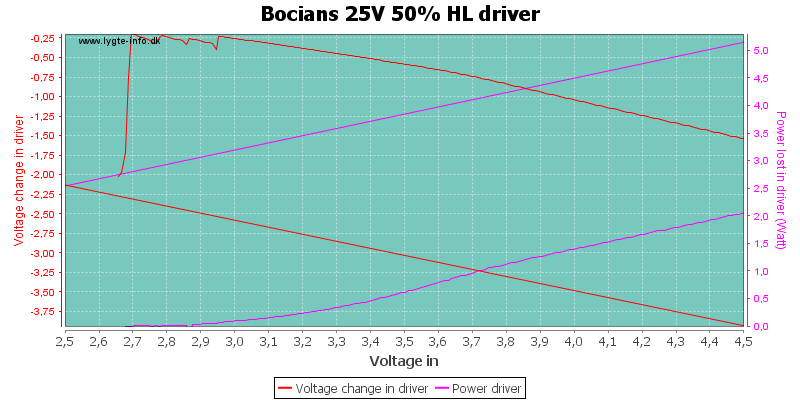 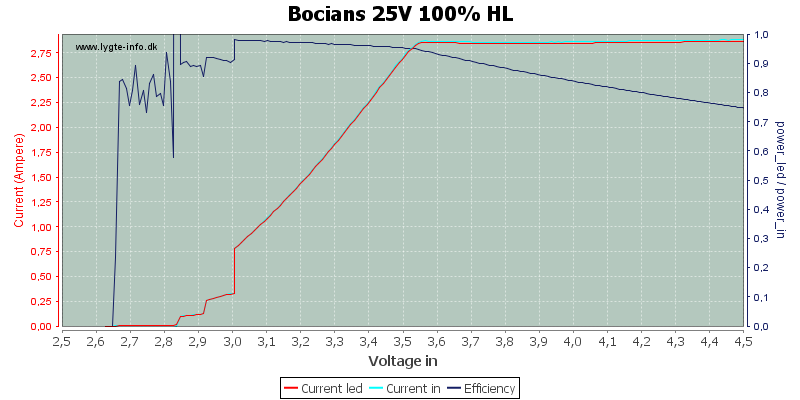 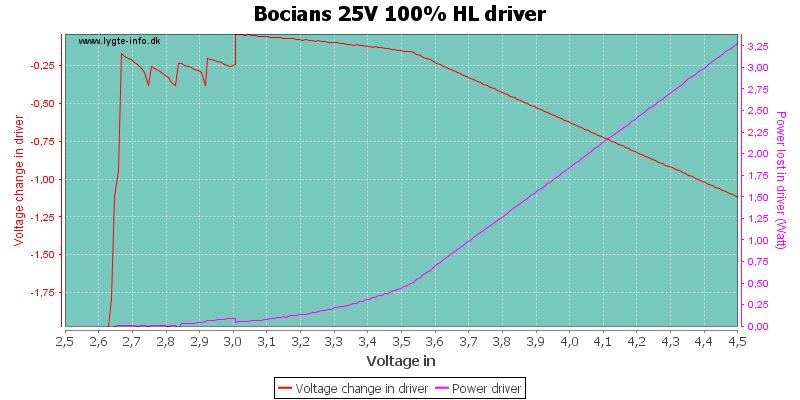 For this driver there is a flash for each 0.1 volt above 3.0 volt, i.e. 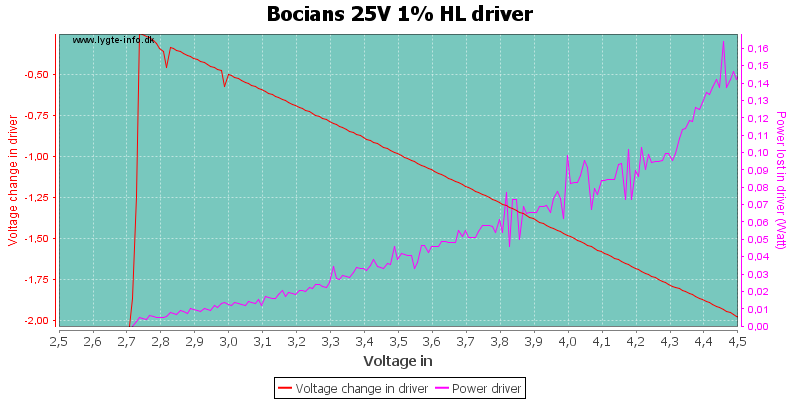 6 flashes is 3.6 volt. 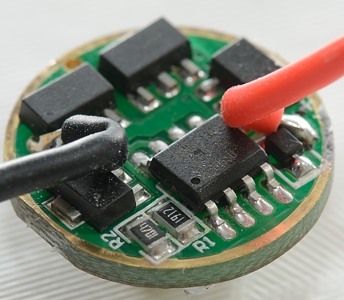 The temperature sensor in the microprocessor is used to add a extra safety layer to the driver. 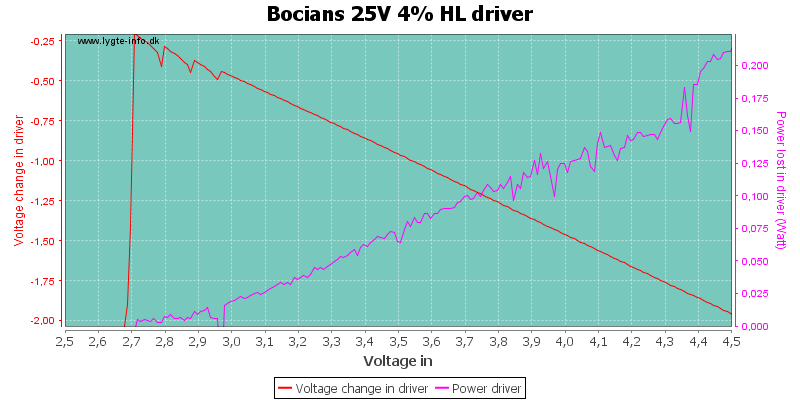 In my test here I uses a very high battery voltage (4.5 volt), to make things happen fast. 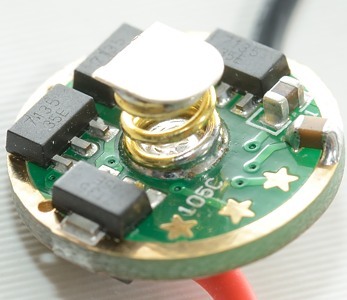 The 7135 has a build in temperature regulation at 150°C, this is fine for protecting the chip, but not everything in or around a flashlight like the temperature this high. 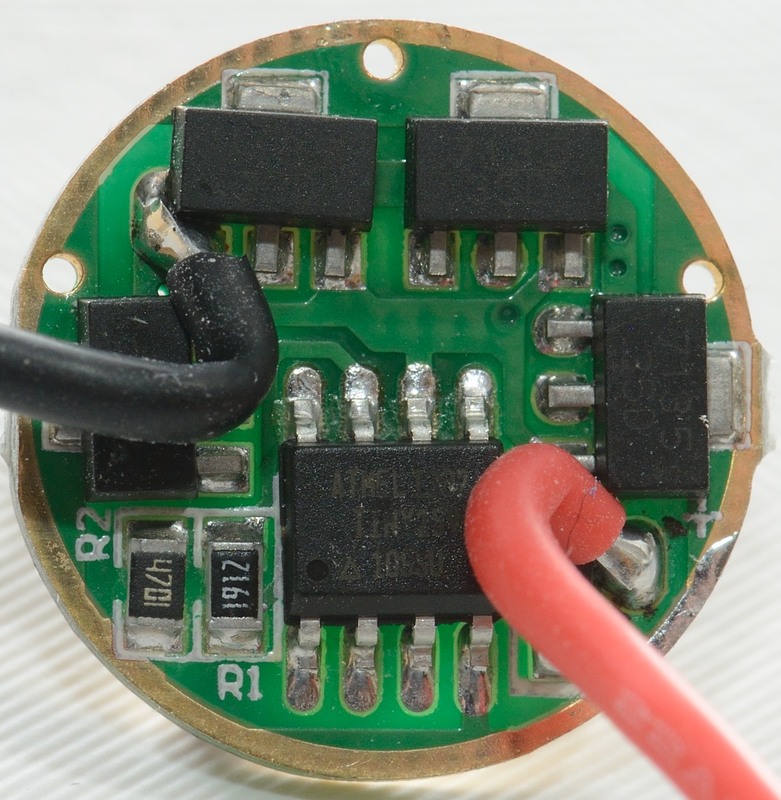 By using the temperature sensor in the microcontroller it is possible to add a much lower limit for the system (i.e. 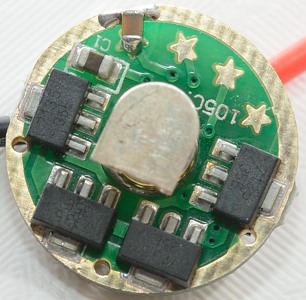 flashlight). 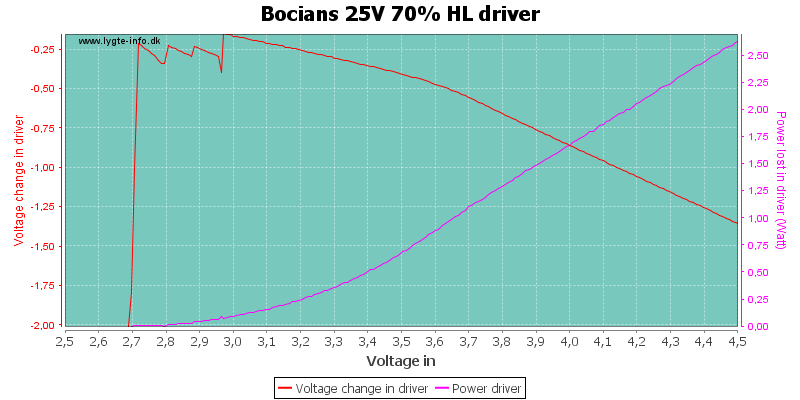 Default is around 60°C, but it can be adjusted. 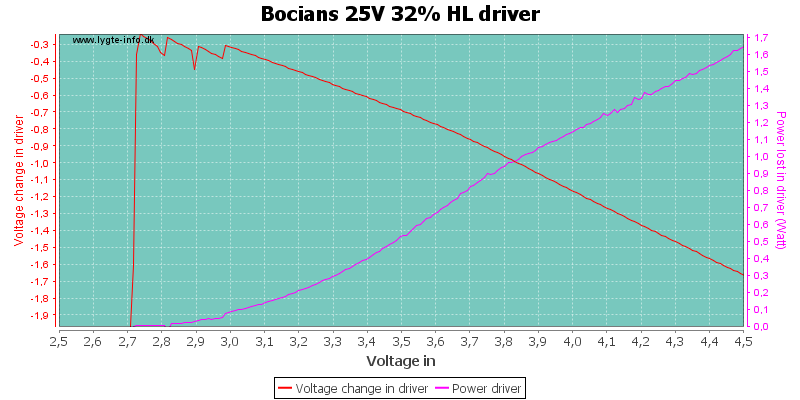 It is interesting to see what can be done with this driver. The programmable modes makes it much more flexible and the temperature regulation is a nice safety feature.